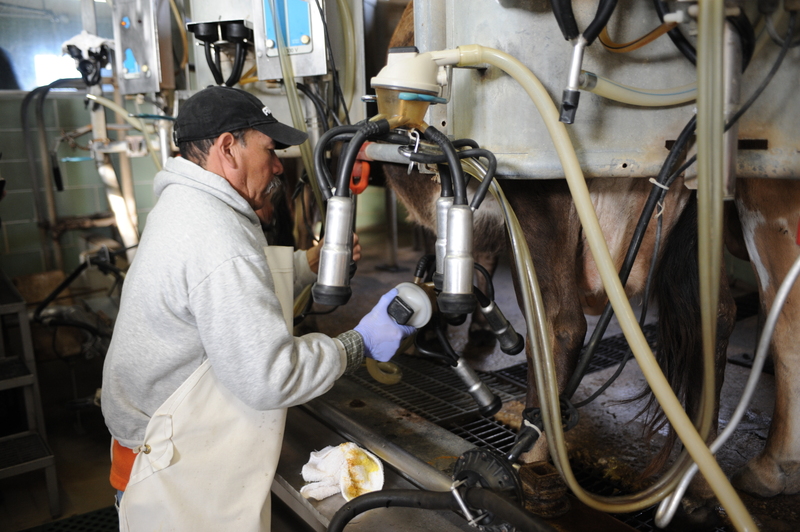 Action Alert (Texas): Raw Milk Drop Point Busted – Help Us Change the Law! Although Texas farmers can get a license to sell raw milk, state regulations limit the sales to “on farm” only. The state agency’s position is that any form of delivery, even a drop point at a private home when the milk has been pre-purchased, is illegal. Last week, in response to a complaint, the Texas Department of State Health Services suspended a farmer’s raw milk license because of a private drop point. In order to get his license back, he had to agree not to do any more drop points. His customers have to drive out to the farm each and every time they want some milk. This problem is repeated for thousands of families all over the state. We need to change the law to protect raw milk farmers and to ensure that consumers who want raw milk can access it! HB 46, filed by Representative Flynn, would allow the sale of raw milk by licensed farmers at farmers’ markets, drop points, and through delivery. Please help us pass HB 46 to protect both farmers and consumers! You can also offer to send them materials about the bills via email. You can download our raw milk fact sheet at www.farmandranchfreedom.org/texas-hb-46-fact-sheet or email Judith@FarmAndRanchFreedom.org, and we can follow up. 2. Then, call your State Senator and ask him or her to support HB 46 when it comes to the Texas Senate. 3. Make plans to come to Austin on Tuesday, March 19, for our Local Foods Education Day. In-person meetings are the best way to have an impact! Details will be posted soon. NOTE: Calling or emailing the Department of State Health Services does NOT help. The legislators are the ones who have to change the law. So focus your calls and emails on your elected officials! See the actual bill text and more information on HB 46 on the Texas Legislature website.